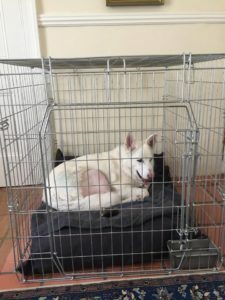 A crate is a secure metal cage which can be used to house train a puppy (or older dog) or to contain a pet while they recover from surgery. 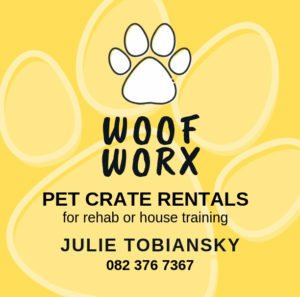 Woof Worx offers rental of a variety of sizes of crates. 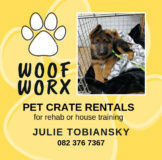 Rental are perfect if you prefer not to purchase as you only need a crate for a short period of time. What will a Rental Cost Me? 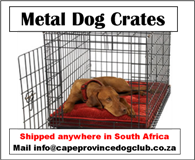 How do I arrange a crate? 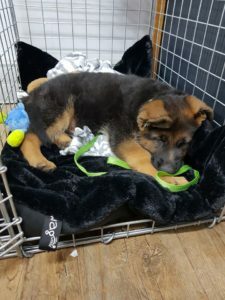 « 820 Dogs Trained with us in 2018!